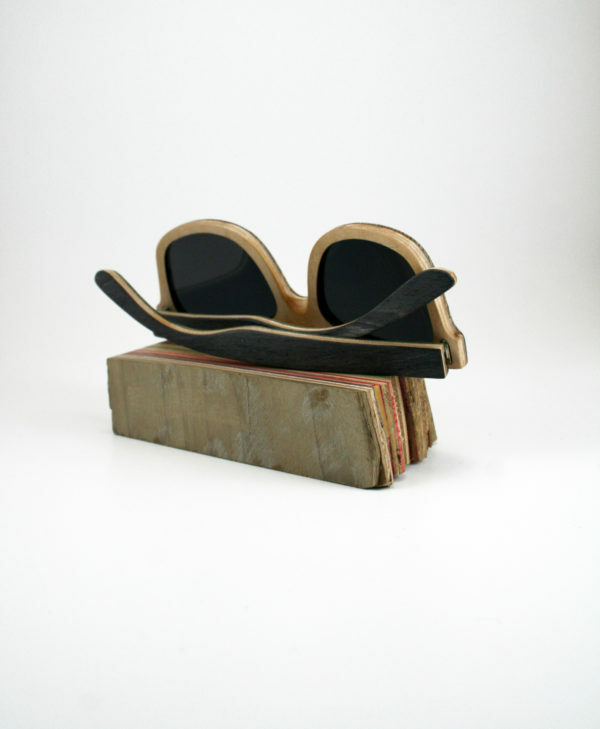 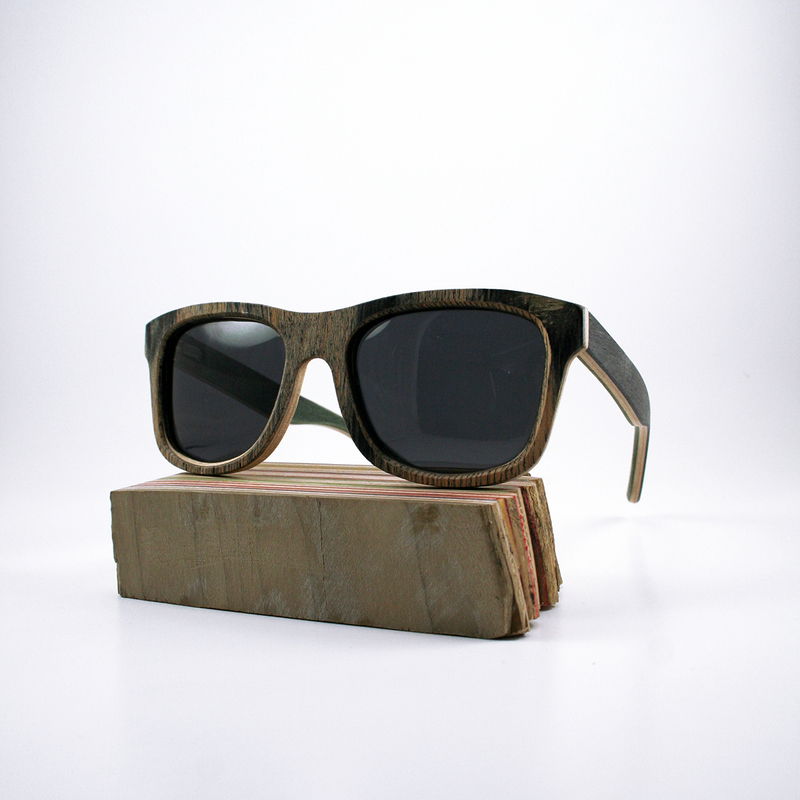 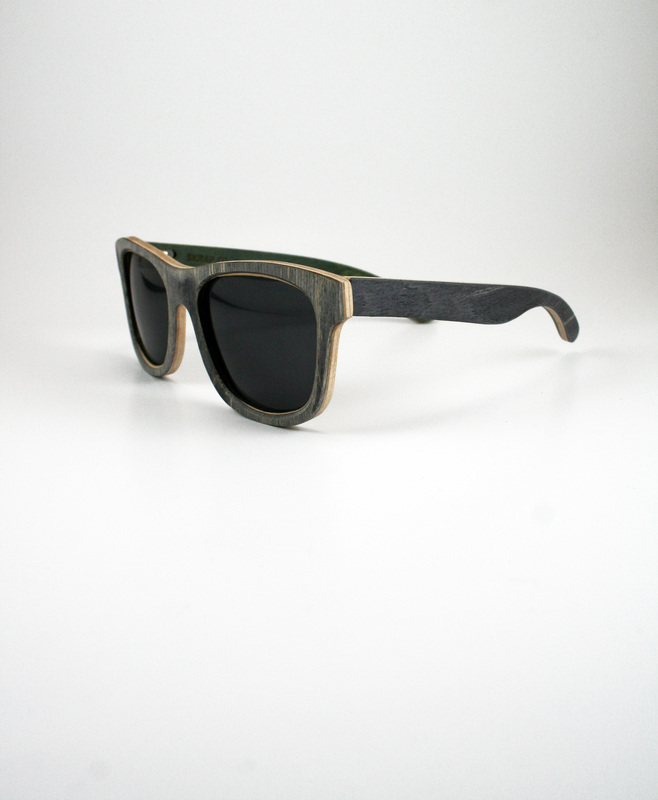 Recycled Wooden Skateboard Sunglasses (Black and Green) - SKRAP Skateboard Inc. 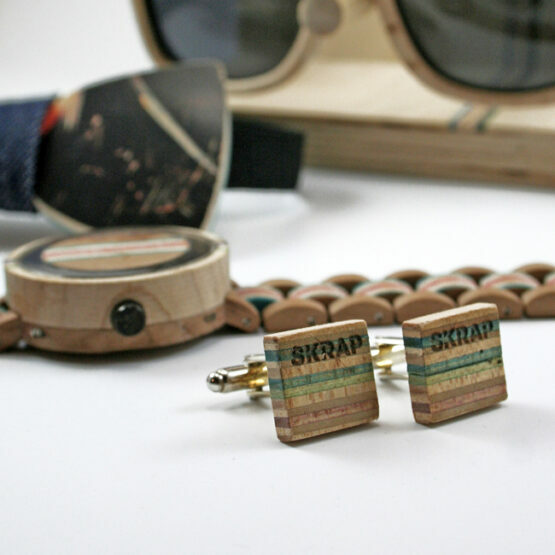 Proudly handcrafted in Ottawa Canada from 100% reclaimed skateboard decks. Each pair has brilliant and totally unique layers of colored maple wood veneer from a skateboard deck with a backstory. 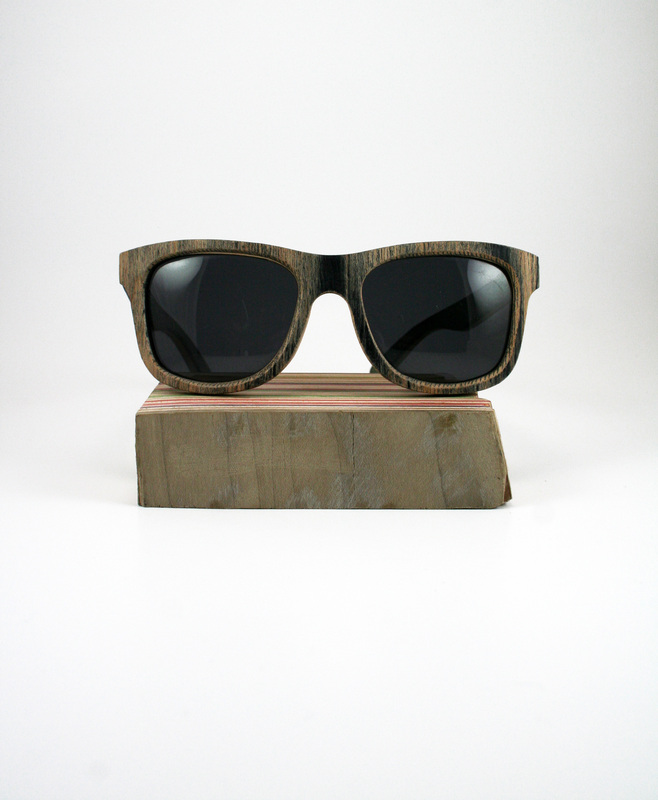 Each is fit with stainless steel spring-hinges, have UX400 Polarized lenses, water resistant finish and comes with a sleek soft case made from reclaimed materials. 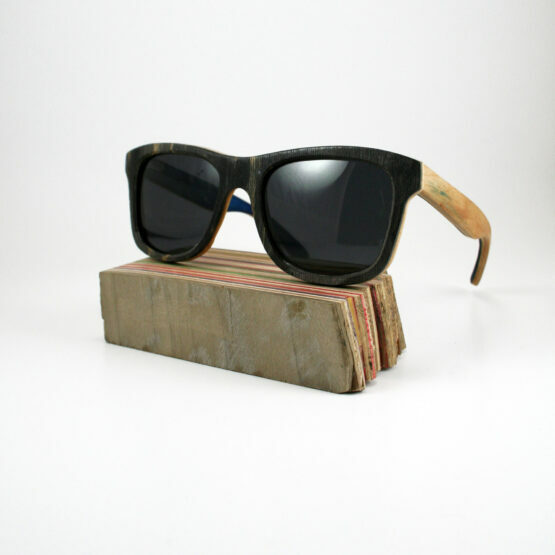 Each pair is totally unique and each of these sunglasses we’ve listed are just examples. 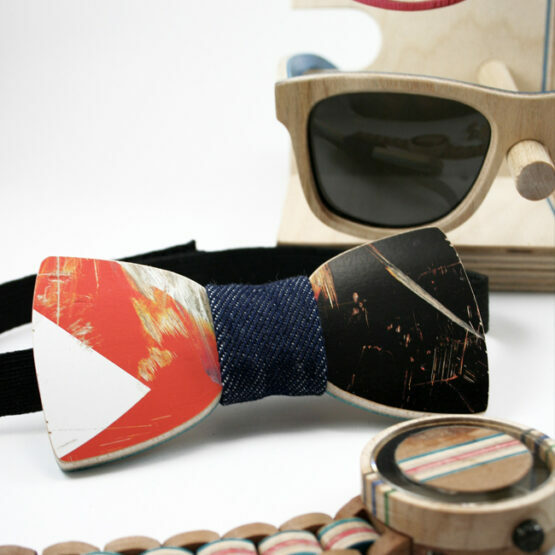 Leave a note at checkout if you desire a certain color scheme and we will do our best!